Washington, D.C., April 20, 2017 – TrackMaven, the world’s leading marketing analytics and reporting solution, today announced its keynote speakers for Spark 2017, the exclusive marketing leadership summit on the future of marketing technology, analytics, and data-driven creativity. Now in its fifth year, Spark will bring 300 marketing leaders together at the Newseum in Washington, D.C. on May 18, 2017. 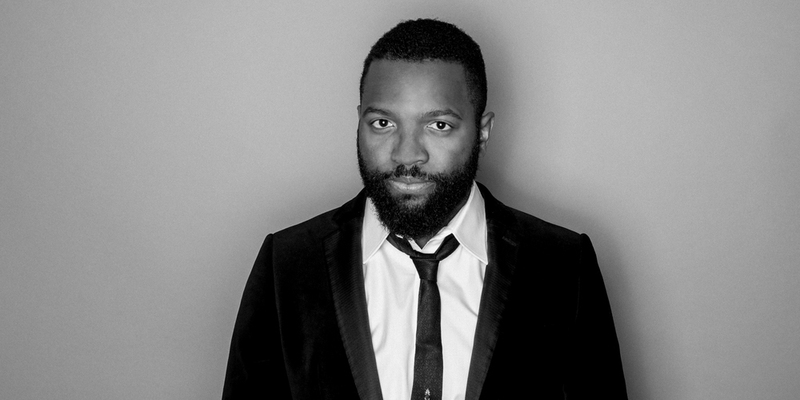 Baratunde Thurston, the futurist comedian, writer, and cultural critic who helped re-launch “The Daily Show with Trevor Noah,” will headline the event as the closing keynote. Additionally, Ari Isaacman Bevacqua, growth strategy editor of The New York Times; Ross Martin and Kern Schireson, executive vice presidents of Viacom; and Allen Gannett, the founder and CEO of TrackMaven, will address attendees from the main stage during the summit’s morning and afternoon keynotes. Baratunde Thurston is a highly sought-after public speaker, television personality, and thought leader who has been a part of noteworthy institutions such as Fast Company, TED, and the MIT Media Lab. In addition to his role as supervising producer for digital expansion for “The Daily Show with Trevor Noah,” Thurston co-founded Cultivated Wit, a comedic digital company on a quest to merge comedy and technology into a new genre of creative expression. Thurston also wrote The New York Times bestseller “How To Be Black,” and served as the director of digital for The Onion. Ari Isaacman Bevacqua is the growth strategy editor at The New York Times, where she develops and implements the data­-informed strategy to grow and engage the company’s digital audience. Bevacqua previously served as the director of audience development at Upworthy. Prior to Upworthy, she worked at the White House, where she served as the assistant press secretary and spokesperson for the Office of Management and Budget, a presidential management fellow in the Office of E-Government and Information Technology, and the digital strategy analyst in the Office of Digital Strategy. Ross Martin is the executive vice president of marketing strategy and engagement for Viacom. He oversees the company’s marketing, consumer intelligence, innovation, business development, and creative strategy teams. Martin joined Viacom in 2004 as the first head of programming for MTV’s Emmy and Peabody Award-winning college network, mtvU, and later served as senior vice president of MTV 360 production and development. Martin is the chairman of the Viacom Marketing Council, a member of the Academy of Television Arts & Sciences, a member of the board of directors for the Ad Council, and serves on the advisory boards of St. Jude Children’s Hospital and the Yale University Center for Customer Insights. In 2012, he was named one of Fast Company’s “100 Most Creative People in Business” and a “Media Maven” by Advertising Age. In 2013, he was named in Fortune Magazine’s “40 Under 40” list of rising business leaders. Kern Schireson is an executive vice president at Viacom Media Networks, where he is responsible for Viacom’s overall data strategy and the consumer and audience intelligence that powers Viacom’s content, platforms, and partnerships. Prior to joining Viacom, Kern founded and served as the CEO of Schireson Associates, an insights and strategy consultancy, where he led the development of innovative product and brand strategy for some of the world’s leading companies, including Amazon, American Express, Intel, Microsoft, Nestle, and many others. New sessions are being added to the Spark 2017 agenda daily, focused on everything from the future of technology and creativity in digital marketing to data-driven strategies that deliver business value. Attendees will hear from notable marketing leaders from organizations such as MGM Resorts International, Condé Nast, Viacom, Vox Media, and more. To learn more about the TrackMaven’s 2017 Spark Summit or to register for the conference, visit spark.trackmaven.com. TrackMaven is a marketing analytics platform that gives you the ability to prove ROI and improve results on 18 digital channels, including social media, ads, PR, marketing automation, CRM, and more. Marketing leaders from hundreds of the world’s best brands depend on TrackMaven to optimize content and campaigns, tie marketing activities to ROI, and benchmark performance against competitors, peers, and industry influencers. Founded in 2012, the company is headquartered in Washington, D.C. To learn more, visit www.trackmaven.com or follow TrackMaven on Twitter @TrackMaven.